The reviews below are of books currently found in the Wollaston Church Library. Have you read a good book lately? You might consider writing a review & donating the book to the library. This spiritual autobiography is organized according to the calendar of the church year. It begins and ends with Advent. Along the way it includes the Hebrew Feasts. The child of a Jewish father and a lapsed Southern Baptist mother, Lauren began her spiritual journey by becoming an Orthodox Jew. Her story tells of her experiences as a proselyte Jew, who was never fully accepted by either Jews or Christians. She tells of her conversion to Christianity, and in the process explains the significance of both Jewish and Christian sacraments. ​The story grows out of her life experiences and her interaction with friends, both lay and clerical, of both Jewish and Christian faiths. She is an unconventional thinker and devoted Christian. This story concludes before she became a professor at Duke University. Lauren was a widely published and award winning author even before the publication of this book. This book helped me to understand and appreciate my own faith, particularly the sacrament of Holy Communion. I first encountered books by Jan Karon from the library of the United Methodist Church of Englewood, FL while visiting my sister. Over the years, I have read several of the volumes from "The Mitford Years". I have been pleasantly surprised to find volumes one and four in our church library: "At Home in Mitford" and "Out To Canaan". Jan Karon has created the town of Mitford in rural North Carolina, centered about Father Tim, Episcopal Rector of the Lord's Chapel. "Out of Canaan" features a cast of characters filled to the brim with the mysteries and miracles that make everyday life worth living and that make Mitford one of the most memorable small towns in recent literature. I find these volumes engaging and inspiring. familiar songs which now hold a major place in protestant hymnology. The Gaither songs grew out of actual life experiences. Many of which we also have experienced. These songs of praise honor God's goodness and grace in everyday life experiences. Some of these songs bring me to tears as I reflect on God's goodness to me. The Gaither Trio came to ENC on September 20, 1973 for the dedication of the Lahue Physical Education Center. Four thousand people showed up that night and the trio gave two performances to accommodate the crowd. Dr. Richard Mann had met the Gaithers on a plane and paid for their visit to his alma mater. Admission fees raised fifteen thousand dollars which was used to purchase a new Allen Modell 600 organ for the gym. The organ was later given to the Wollaston Church of the Nazarene when the upper story was added in 1980. We know David: shepherd boy, called to be king, killer of Goliath, seducer of Bathsheba, and "a man after God's own heart"? He is currently the subject of the Old Testament lessons from the Lectionary. Swindoll dedicated this book to his sons and his sons-in-law, and for good reason. If God could use and bless a man like David, he can do the same for you and me. Here is David, not only as a hero, but as a real human being. I was not aware of his seventeen years as a fugitive in the wilderness nor his twenty-one wives. No wonder that he could not control his many children. Two of them even tried to kill and succeed him. ​Throughout the book the author cites he story of David found in I and II Samuel. He adds psalms of David in appropriate places. As the story unfolds, the author gives the background, an explanation and in application of the scriptures. The result is an interesting and exciting story. In twenty-four chapters, Swindoll graphically describes all phases of David's life, the low points as well as the high and in each case draws practical lessons for you and me. This book will make you think. I find myself identifying with David in many of the experiences of my life. Sometimes God sai yes, and other times no, but in each instance, I now can see His hand leading. This book is making a significant impact upon our church. Pastor Stretch is featured in chapter two. A group from our church participated in a conference in California which was based upon the research in this book. Many people in our church have already read this book. I particularly recommend the book to senior members of our church like myself. 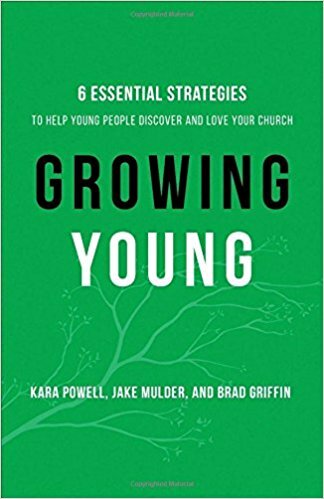 Reading this book helped me to understand many of the programs that are part of the transition that our church is experiencing. While reading this book, I kept asking myself, "How can I participate in the changes in a meaningful way instead of simply resisting them?" Wolly has always had the mission of ministering to children, teens, and college students. Times are changing. The culture and challenges to our youth are changing. Are we flexible enough to keep up in our programs and methods to meet the challenges of this day?